So I finally started reading Gygax's "Gord the Rogue" novel, Sea of Death. So far my book report at the halfway point is mostly positive. 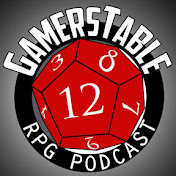 Gygax's dialogue and action is pulpy to a fault, but he can certainly build a fictional world. And that is more the focus of this post. Gygax wrote this story after he parted ways with TSR seemingly without the rights to all of the Greyhawk stuff he created. 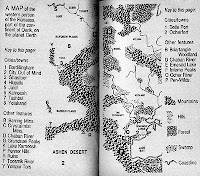 Clearly from looking at the insert map at the beginning of the book, Gygax managed to retain quite a bit 'Greyhawk canon' for this novel. The rest is an exercise in creating alternate names for places and people that should be familiar to anyone who has played Greyhawk. Now knowing the author and his background too well, Sea of Death at times reads like a setting gazetteer. That is why his treatment of the Baklunish West, not the main plot involving a contest to find an artifact, is naturally the most riveting part for me; and that's because it's an area that I myself have written extensively on prior to ever seeing this book. I feel confident so far, that everything Gygax has written in Sea of Death can still be compatible with not only my brand of Ull articles, but also most game related published canon. To further investigate the worthiness of this Baklun-lore I found an old fan website by Chris Siren, that has already catalogued much of the information I'll be discussing here. Here's a break down. You can follow along with the map to the right. Ket is still called Ket. It's capital Lopolla however, is referred to as Hlupallu. This is a clever linguistic change that can easily be justified given the country's history of different rulers from Keoland to the Brazen Horde. Hlupallu is on the Toosmik River, whose name derives clearly from Tusmit, where in the game setting the river is called the Tuflik. The Barrier Peaks become the Barring Mountains which is only weird for being a synonym, yet the Crystalmist Mountains get to stay the same name. Speaking of ranges, the Sulhaut Mountains become the Grandsuel Peaks, much the same but I prefer the feel of Sulhaut. Finally the Ulsprue range is renamed the Yolspur Tors. I am not crazy about the use of "tor" for a Baklunish spot but Yolspur fits with the rest of Gygax's naming conventions for the land of Ull. My beloved Ull is changed here to Yoll with the capital of Ulakand becoming, yes, Yolakand (not much a stretch). The trade town of Kester is cleverly changed to Ghastoor. I like Ghastoor much the same as I like Hlupallu as an alternate pronunciation of a very old town that has changed hands culturally over time. Ull's cousins, from the Plains of the Paynims are retrofitted into the Bayomen Plains. I actually like Bayomen here, but both could be used interchangably I suppose, given that the Greyhawk guides and the Darlene map were likely written with an Oeridian bias. Further south the Dry Steppes are given the name Barren Plains. Again in game, this generic name is open to debate and could logically vary depending on where the mapmaker is from. The same goes for the Ashen Desert being relabelled from the Sea of Dust. purely subjective. Where the novel gets really interesting though is at Lake Karnoosh (Lake Udrukankar) and beyond. In the game setting, the insignificant town of Kanak sits on the shore of this small salt lake, but in Sea of Death, the trading mecca of Karnoosh thrives on this spot and is the hub for many exotic lands far beyond the scope of the original campaign setting (more on these places and why their inclusion is essential later). 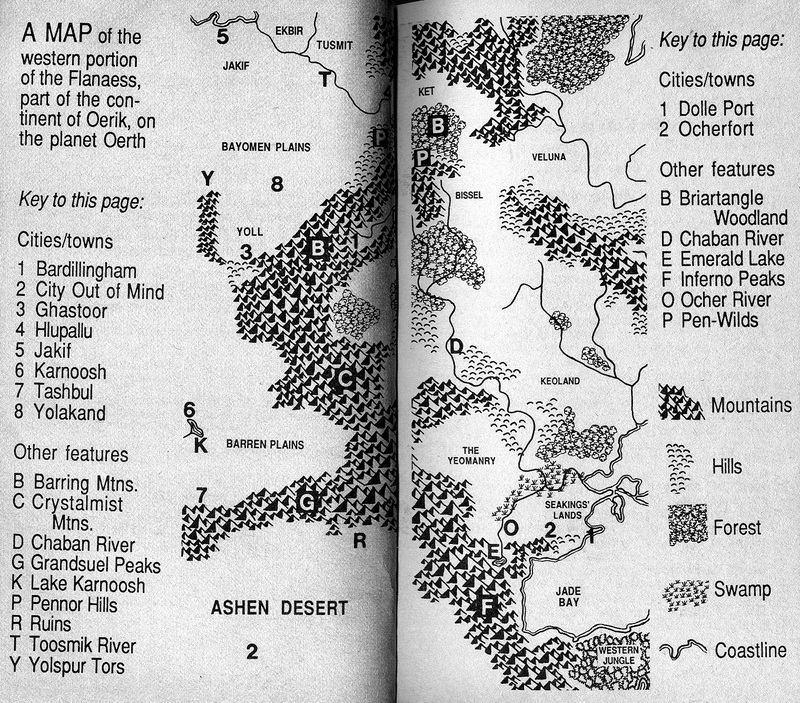 One new development by Gygax I will point out is on the novel's map, is the nearby town of Tashbul next to the Grandsuel mountains. This is a significant settlement in the story but has no in-game equivalent that I know of (not that it couldn't be seamlessly slipped into any Greyhawk campaign). Next time I will elaborate more on the fantastic realms beyond Sea of Death's map, and possibly on Uli (Yoli) cultural details found in this novel that should add more flavor to my own Ull campaign articles. Cool. I look forward to exploring these new places. I've never seen those linguistic acrobatics as changes or differences so much as differences in pronunciation, native vs. Oeridian (or whatever) spelling, etc. Much the same way Beijing was called Peking by the English. In my Greyhawk, it's still Ull if you're in, say, Keoland, but if you're actually there the locals will pronounce it Yoll. Anna: Will the novel locations factor into your mapping project or will you stick with game info only? Joseph: Yeah, completely agree. It's just weird reading this book decades after the fact. It feels like rediscovering Greyhawk to a small extent. Y'know, I had this book at one point (I had all of EGG's Gord novels at one point...) and I don't recall those differences. Heh! The memory is a funny thing, but then again, I didn't sit down & read them with my WoG box set at hand to double-check the references either. Greyhawk was my favorite setting before I started dnd, We tried to play ad&d in this world, but it was a little disappointing and timewasting. roleplay: Sometimes the setting can't live up to expectations. That's how I felt about running Forgotten Realms. I hope my posts can at least let you relive some of the things you liked about Greyhawk. mortellan: With the world I hadn't problem, but the game system was disappointing. I still have that novel! I fished it out of the book case and enjoyed comparing my hard copy to your notes. Nice darts, sir. Nice darts!